Throwback to ten years ago and there were a whole load of incredible products and experiences that we hadn’t yet discovered. But it’s not the introduction of the iPad, Instagram or even Alexa that has rocked our world the most over the last decade. It’s something much bigger and better than that. Something that has catapulted water sports into a new realm of cool. Oh, STAND UP PADDLE BOARDING how did we ever live without you? It may have only recently smashed into popular culture but newbie to the water sports scene, Stand Up Paddle Boarding (SUP for short), has hints of ancient tradition about it. Over the year’s various techniques have morphed into the awesome activity that we know today turning SUP into the ultimate proof that good things come to those who wait. It’s got ocean lovers the world over reaching for their paddles and is amassing new fans each and every day. SUP is no fad; this trend is here to stay. It’s seriously cool, utterly addictive and the ultimate Instagram fodder – and that’s just for starters. SUP is the type of activity that once you’ve tried it you’ll be forever hooked. On one hand it pushes the adrenaline buttons and gets the blood pumping, yet on the other it channels the chilled out vibe and lets the surroundings do the talking. A definite mood pleaser, SUP is an activity for all conditions. And best of all it’s super easy to master. Whether you’re a water baby or ocean novice, by the end of a lesson you’ll be owning the board and getting the full-blown SUP experience. All abilities and all ages – children as young as eight can enjoy our SUP lessons when accompanied by an adult – SUP is an all-round beauty. Renowned for favouring calm waters, SUP started out as the reserve of our south Cornish coast counterparts. But we were never going to let them have all the fun. From our enviable positon on Towan Beach we can take our pick of perfect SUP routes. Launching straight from the beach, our SUP sessions can either paddle along the stunning Gazzle Peninsula, a dramatic heritage and marine rich stretch of coastline, or head out into the open waters for a sea adventure like no other. 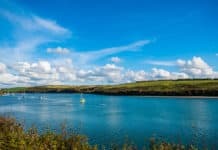 Then there’s the Gannel Estuary, our go-to spot when the swell is whipping up and the waves are rolling in on Towan. Always tranquil, always serene, it welcomes our boards 360+ days a year. South coast – you’ll have to try harder to outdo us! When you join us for a SUP adventure the fun starts from the moment you arrive. With enrolment and intros are done, it’s time to get familiar with your inflatable 10’6 SUP. We’ll run through beach and sea safety info and get to grips with the basic techniques. All set? Let’s hit the water. On our ocean based route we launch straight from Towan Beach and kick off with a lesson in how to get out through the surf by knee paddling. You’ll learn how to wipe out, how to deal with wind and sea conditions and perfect your paddle stroke before standing up on the board. It won’t be long till you’ve cracked the graceful pose and will be ready to immerse yourself in the incredible coastal experience. Prepare to be blown away by the scenery as we get up close and personal with characterful nooks and crannies. 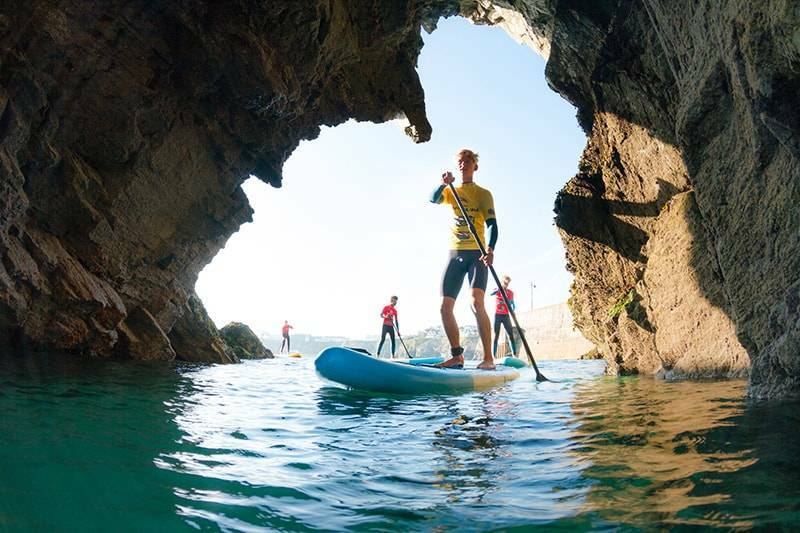 Tales of smugglers and shipwrecks will abound as we explore the Tea Caverns Cave, Adventure Gulley and Deadman’s Cove – a secret beach inlet – all whilst experimenting with different paddle strokes and negotiating the craggy coastline. To up the wow factor there’s the option to combine the SUP adventure with a snorkelling session. We’ll turn our boards into dive platforms and go beneath the surface to discover an underwater world teaming with wildlife. 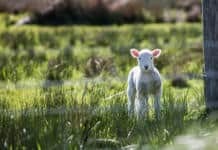 Lobsters, star fish, huge shoals of fish and even seals – it’s all there to be found in a truly magical experience that you just wouldn’t expect off UK shores. And even on your return to Towan the awesomeness just keeps coming as at high tide, you’ll have the opportunity to paddle under the iconic bridge of Towan Island. Over on the sheltered Gannel Estuary, the calm, slack waters are best explored at dawn or dusk when the overhanging trees and rolling countryside on either side create a mellow experience. Just like on our Gazzle route, you’ll get to grips with all the moves and will be overloaded with history, heritage and an abundance of wildlife as we glide across the stunning natural habitat. We’ve already mentioned adding a snorkel safari into the mix but why stop there when you could throw in even more action-packed experiences. Also fancy giving kayaking and Super SUP a go? Combine them with SUP for the ultimate time on the water. We’re as flexible and up for an adventure as you are! Oh, and if you like games, we can do those too. Tag races, balance challenges – they’re all for the taking. When’s best to do it? Take your pick from 360+ days a year. Whether the sun is bouncing off the water or there’s a nip in the air, your board awaits. Our sessions run year-round. In fact, SUP gets extra special in the winter as it’s one of the few water sports that you can actually do without getting wet. And the choice of timings doesn’t end there. From dawn to dusk we’re setting off from our Towan Beach HQ and squeezing every second and more out our amazing location. Never ones to just dip our toe in the water, we’ve made a big splash with our SUP activities. Our experienced instructors as trained as they possibly could be, we’ve welcomed some new SUP teammates and we’ve invested in a brand-new fleet of boards and paddles. It’s fair to say that we’re more than a little bit in love with SUP and just know you’ll be every bit as besotted as we are! Previous articleWhat is Stand Up Paddleboarding?